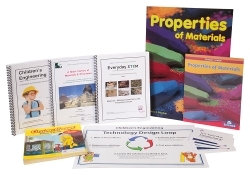 Help young students learn how to differentiate between human-made items or nature-made items. Seeing manufactured items (such as aluminum foil, glass, and a bucket) and natural items (such as coal, trees, and sand), children will soon master the difference. Also includes cards explaining the difference between these materials. 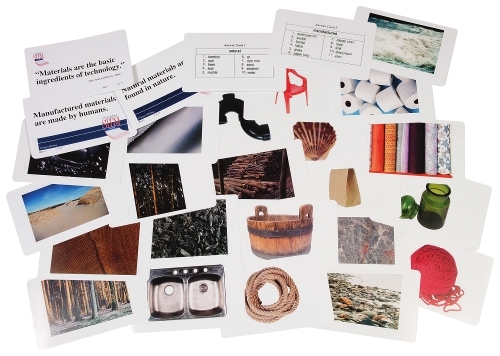 This card sort is part of the Everyday STEM program. Includes 27 cards.